​Cholesterol has been studied since 1784 when it was first discovered. But scientists only started to study cholesterol more seriously when heart disease became the number one killer in the US in the 1940s. The lipid hypothesis was introduced by Ancel Keys in 1953, and this theory is still regarded to be the truth, even when it is based on cherry picked data and never been proven by science. A well known cholesterol researcher is professor Akira Endo from Japan. He contributed to the creation of the first statin drug - Lovastatin, which became commercially available in 1987. 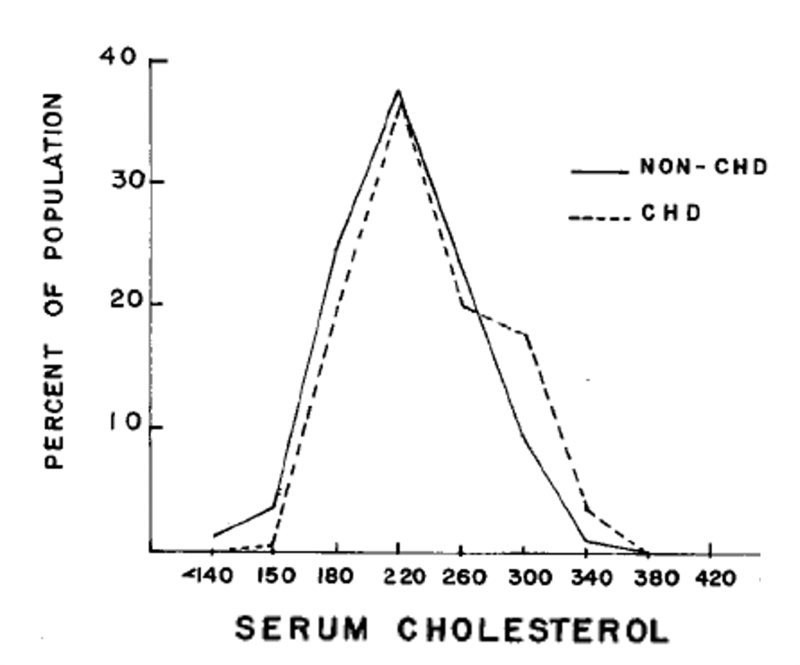 ​Endo's interest for cholesterol started in early 1960s. From 1957 to 1978 did he work as a biochemist at Sankyo Co. 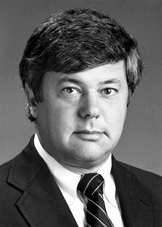 He spent two years (1966–1968) at the Albert Einstein College of Medicine in New York as a research associate. 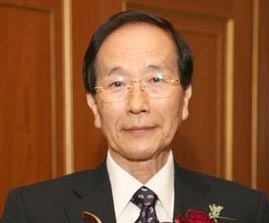 From 1979 to 1997 he worked as an associate professor (1979–1986) and later a full professor (1986–1997) at the Tokyo University of Agriculture and Technology (TUAT). After official retirement, besides becoming the director of Biopharm Research Laboratories Inc. (Tokyo), he serves as a professor on Special Mission at Tohoku University and Waseda University and a Visiting Professor at Kanazawa University and Hitotsubashi University. ​In 2010 was Akira Endo's article "A historical perspective on the discovery of statins" published. The article describes the research behind the discovery of cholesterol lowering drugs, in which he was involved. "Cholesterol is essential for the functioning of all human organs, but it is nevertheless the cause of coronary heart disease." "Over the course of nearly a century of investigation, scientists have developed several lines of evidence that establish the causal connection between blood cholesterol, atherosclerosis, and coronary heart disease." "Building on that knowledge, scientists and the pharmaceutical industry have successfully developed a remarkably effective class of drugs—the statins—that lower cholesterol levels in blood and reduce the frequency of heart attacks." "No major adverse effects of lowering cholesterol were noted in any of the studies. The remarkable safety of statins derives from their unique mechanism of action." The following is a critical review of those statements. 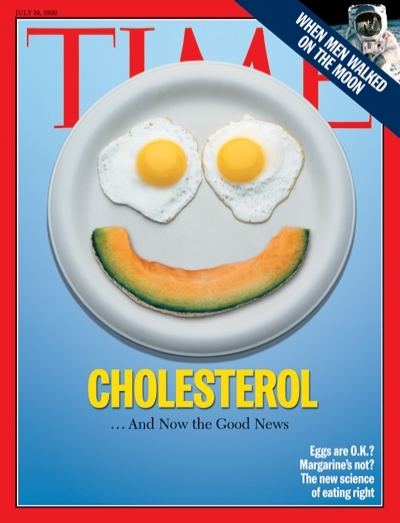 ​- The big cholesterol lie. - Akira Endo (2010): "A historical perspective on the discovery of statins". "Cholesterol is essential for the functioning of all human organs ..."
​Cholesterol is required for normal cell growth and repair of tissue. ... but it is nevertheless the cause of coronary heart disease." ​This raises a fundamental question: How can a substance that is essential for our organs cause a disease that has become the number one killer? Scientists have for several decades warned that cholesterol, and specifically LDL cholesterol, causes heart disease. But the major cause for heart disease is chronic inflammation, which can be caused by many factors. Examples are hormones (insulin is very inflammatory), free radicals from unhealthy food, tobacco or other pollutants, vitamin C deficiency, too much omega 6, alcohol, gluten, stress, lack of exercise and more. ​In 2000 did Linton MF, Yancey, Davies, Jerome, Linton EF and Vickers publish "​The Role of Lipids and Lipoproteins in Atherosclerosis". The study describes how macrophages (immune cells) are causing inflammation and oxidative stress when interacting with LDL. The macrophages then convert into foam cells that form fatty streaks inside the blood vessels, which is the first stage of atherosclerosis. "Surprisingly, native LDL is not taken up by macrophages in vitro but has to be modified to promote foam cell formation. Oxidative modification converts LDL into atherogenic particles that initiate inflammatory responses." ​In plain words: Only oxidized LDL causes atherosclerosis. - Harvard Health Publications: "What you eat can fuel or cool inflammation, a key driver of heart disease, diabetes, and other chronic conditions." - Linton MF, Yancey, Davies, Jerome, Linton EF and Vickers (2000): "​The Role of Lipids and Lipoproteins in Atherosclerosis." "Scientists have developed several lines of evidence that establish the causal connection between blood cholesterol, atherosclerosis, and coronary heart disease." Endo: "The Russian pathologist Nikolai Anitschkow fed pure cholesterol to rabbits, which produced marked hypercholesterolemia and severe atherosclerosis of the aorta." Anitschkow published a report about this experiment in a German medical journal in 1913. 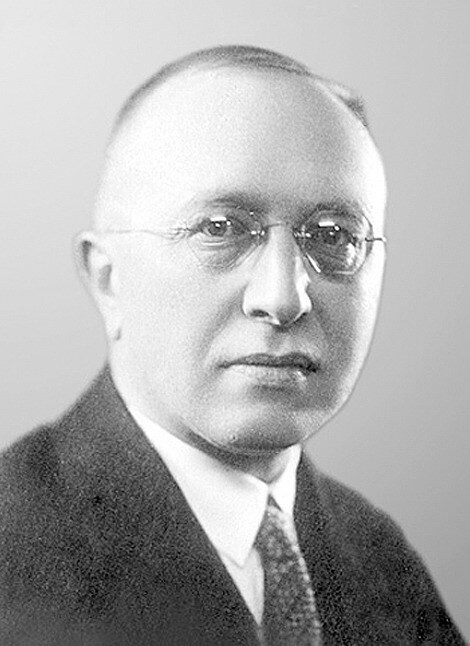 Many scientists claim that Anitschkow's research was the first proof of the lipid hypothesis: Digestion of cholesterol raises blood cholesterol, and excessive cholesterol levels causes atherosclerosis. Critics pointed out that rabbits are herbivores and therefore can not process cholesterol, because it is not in their diet. Reference blood cholesterol range for rabbits is 10 to 80 mg/dl. During the experiment did blood cholesterol level rise to about 1,000 mg/dl. 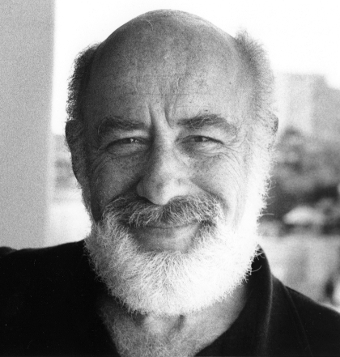 ​Endo: "In the early 1950s, the epidemiologic study of the cholesterol-coronary connection was unfolded by John Gofman at the University of California at Berkeley, who used the newly developed ultracentrifuge to separate plasma lipoproteins by flotation. Gofman found not only that heart attacks correlated with elevated levels of blood cholesterol but also that the cholesterol was contained in low density lipoprotein (LDL). 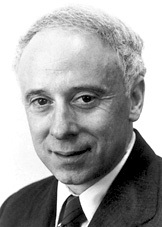 He also observed that heart attacks were less frequent when the blood contained elevated levels of high density lipoprotein (HDL).​"
​Endo attached a link to the report "The role of lipids and lipoproteins in atherosclerosis" by Gofman, Lindgren, Elliott, Mantz, Wewitt, Strisower and Herring (1950). ​From the introduction of this report: "Myriad determinations of blood cholesterol levels have been made by workers all over the world in an effort to show whether or not the blood cholesterol (free or esterified) is elevated in those patients who develop atherosclerosis. The result remains highly controversial. Some workers claim a significant elevation in blood cholesterol level for a majority of patients with atherosclerosis, whereas others debate this finding vigorously. Certainly a tremendous number of people who suffer from the consequences of atherosclerosis show blood cholesterols in the accepted normal range." ​From the conclusion of this report: "As mentioned earlier, analytical blood cholesterol levels have proved highly unsatisfactory as a measure reflecting the occurrence or progress of atherosclerosis." ​Endo: "The epidemiologic connection between blood cholesterol and coronary atherosclerosis was firmly established by a physiologist at the University of Minnesota, Ancel Keys, whose Seven Countries Study (beginning in the mid-1960s) showed that the incidence of heart attacks in 15,000 middle-aged men followed for 10 years was linearly proportional to the blood level of cholesterol." 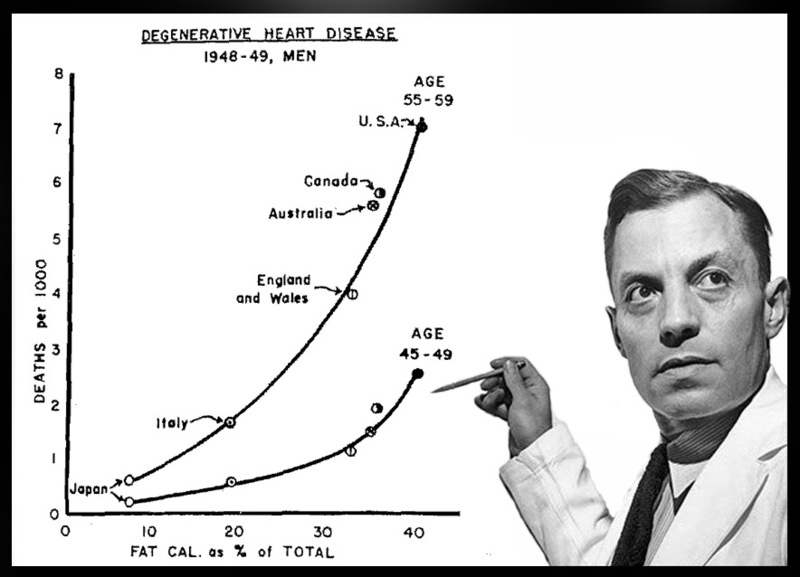 Ancel Keys became famous when he introduced the lipid hypothesis in 1953. He had a graph that showed the correlation between total fat intake and deaths by heart disease. According to Kays does blood cholesterol increase when we eat saturated fat, and high cholesterol causes heart disease. In 1957 did John Yudkin, in opposition to Ancel Kays and his Lipid Hypothesis, publish his survey "Diet and coronary thrombosis hypothesis and fact" in the medical journal "The Lancet". He concluded that "available data on the incidence of coronary deaths and on food consumption makes it difficult to support any theory which supposes a single or major dietary cause of coronary thrombosis." ​In 1958 did Ancel Keys initiate the Seven Countries Study to support his hypothesis. The study includes 16 cohorts in seven countries in three continents. One of the conclusions from the study is that "the average saturated fat intake, average serum cholesterol level and 10-year CHD mortality rates in the 16 cohorts were strongly correlated." The weaknesses of ​The Seven Countries Study is that it is based on the lipid hypothesis, and that only men are enrolled. Neither can the study explain why one of the cohorts, Zutphen in Netherlands, shows that "saturated fat intake of individuals was not related to either serum cholesterol or CHD mortality." Large studies enrolling both men and women come to different conclusions. A comprehensive study made by Japanese researchers Tomohito Hamazaki, Harumi Okuyama, Yoichi Ogushi and Rokuro Hama has the following conclusion: "Cholesterol is not an enemy but a friend." Endo: "The Framingham Heart Study was carried out by the National Heart Institute in Framingham, Ma. It provided the first solid and unarguable evidence that individuals with higher blood cholesterol levels at the time of the baseline examination were more likely to experience a myocardial infarction in the subsequent years of follow-up. It also showed that the risk was increased by a number of other factors such as high blood pressure and smoking." ​The Framingham Heart Study shows that there are many factors affecting the risk for heart disease: High blood pressure, obesity, tobacco, diabetes and low HDL are some of them. ​It is not possible to select a total cholesterol or LDL cholesterol value that separates those who are at risk for cardiovascular disease. Endo: "In 1985, Brown and Goldstein were awarded the Nobel Prize in Physiology or Medicine for their discoveries concerning the regulation of cholesterol metabolism." ​- Merck Manuals: "Serum biochemical reference ranges". ​- Journal of Lipid Research: "An Interpreted History of the Cholesterol Controversy". ​​- Gofman, Lindgren, Elliott, Mantz, Hewitt, Strisower, Herring (1950): "The role of lipids and lipoproteins in atherosclerosis." - John Yudkin (1957): "Diet and coronary thrombosis hypothesis and fact". ​- Hamazaki, Okuyama, Ogushi, Hama (2015) "Towards a paradigm shift in cholesterol treatment. A re-examination of the cholesterol issue in Japan". ​- The Framingham Heart Study: Official website. ​- Dr. Ron Schmid: "Framingham and Ancel Keys". - Castelli, W. Archives of Internal Medicine Jul 1992;152(7);1371-1372. ​"Scientists and the pharmaceutical industry have successfully developed a remarkably effective class of drugs—the statins—that lower cholesterol levels in blood and reduce the frequency of heart attacks." Statin drugs inhibits the enzyme HMG-CoA to produce cholesterol in the liver, and as a result is the LDL level reduced. But does this reduce the frequency of heart attacks? The Scandinavian Simvastatin Survival Study (4S): "4444 patients with angina pectoris or previous myocardial infarction and serum cholesterol 5.5-8.0 mmol/L (213-309 mg/dl) on a lipid-lowering diet were randomised to double-blind treatment with simvastatin or placebo. Over the 5.4 years follow-up period, simvastatin produced changes in total cholesterol, LDL cholesterol, and HDL cholesterol of -25%, -35%, and +8%, respectively. 622 patients (28%) in the placebo group and 431 (19%) in the simvastatin group had one or more major coronary events. There were 189 coronary deaths in the placebo group and 111 in the simvastatin group." This result is not surprising, because statin drugs makes the blood thinner, which is a benefit for patients with a history of heart disease. Cardiologist Stephen Sinatra says that he prescribes statin drugs to such patients, regardless of their cholesterol levels. Se the attached video. West of Scotland Coronary Prevention Study Group: The study enrolled 6595 randomly assigned men, 45 to 64 years of age, with a plasma cholesterol level of 272 +/- 23 mg/dl. They received pravastatin (40 mg each evening) or placebo. Partisipants with additional risk factors, such as angina (5 % of the group), self-reported high blood pressure (15 %) and smokers (44 %) were evenly distributed between the groups. The average follow-up period was 4.9 years. Pravastatin lowered plasma levels of cholesterol by 20 %, LDL cholesterol by 26 %, and triglycerides by 12 %, whereas HDL cholesterol was increased by 5 %. There were no such changes with placebo. Number of deaths from cardiovascular causes were 73 (2.3 %) in the placebo group and 50 (1.6 %) in the pravastatin group. The survey concluded that pravastatin reduced the mortality from cardiovascular causes with 32 %. Doctor Stephen Sinatra: The pros and cons of statin drugs. None of the studies prove that statins prevent heart disease. The first survey enrolled patients with a previous history of heart disease. They may have benefited more from the blood thinning properties of statin drugs than reduced cholesterol levels. The second survey enrolled only men with high cholesterol, not women. Other risk factors were also identified, for example were 44 % of them smoking tobacco. But the survey failed to show whether those who died belonged to other risk groups. For example: How many of them were smoking regularly? As Nobel laureates Brown and Goldstein stated: "There is no definitive answer. In addition to cholesterol, heart attacks in this group are aggravated by smoking, hypertension, stress, diabetes mellitus, and poorly understood genetic factors." ​- The Scandinavian Simvastatin Survival Group (1994): "Randomised trial of cholesterol lowering in 4444 patients with coronary heart disease." 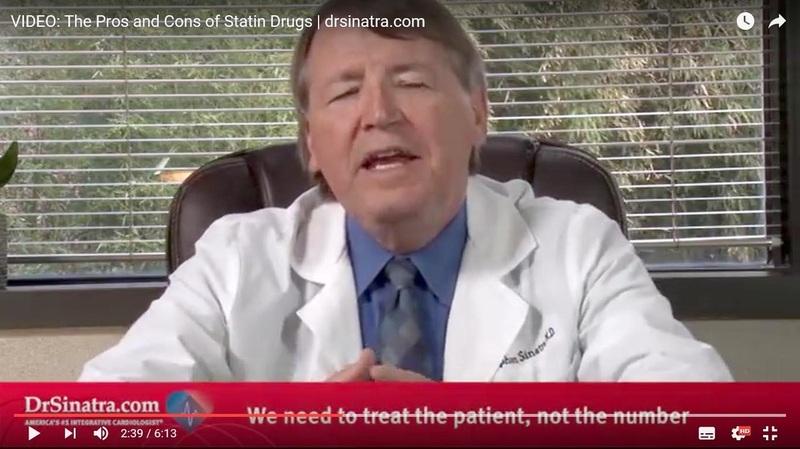 ​- Dr. Stephen Sinatra (video): The pros and cons of statin drugs. ​- The New England Journal of Medicine (1995): "Prevention of coronary heart disease with pravastatin in men with hypercholesterolemia." "No major adverse effects of lowering cholesterol were noted in any of the studies." ​- Okuyama, Langsjøen, Hamazaki, Ogushi, Hama, Kobayashi, Uchino: "Statins stimulate atherosclerosis and heart failure." ​Professor Akira Endo was involved in the research that lead to the developed the first statin drug - lovastatin. It is therefore natural that he defends the pharmaceutical industry and the use of statin drugs. Stain drugs are big business, and the commercial profit is enormous. As he wrote in his conclusion: "The statins are the largest selling class of drugs currently taken by patients throughout the world. Sales for this one class of drugs in 2005 were $25 billion. Today, an estimated 30 million people worldwide are taking statins."